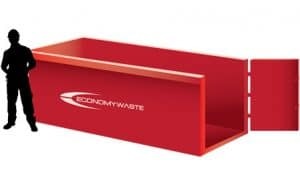 Choose from our range of Skip Bins to suit every project. 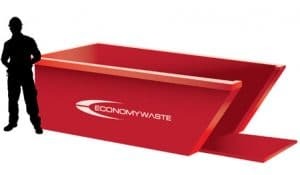 Skip Bin Hire in Gosford and Wyong shires, Central Coast. With over 75% of all materials, we collect going to recycling – Economy Waste Group provides skip bins to home renovators, builders, construction companies and commercial services across the Central Coast of NSW. Economy Waste Group is EPA licensed and operates an approved Waste Recycling facility at West Gosford. We provide local service to Central Coast businesses, efficiently, reliably and economically. 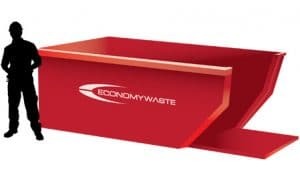 Browse through our skip bin options below to book online or call our service team on 4325 1800 to discuss the right option for you. All our skip bins are available for next day delivery and can deliver same day for urgent requests. SUITABLE FOR: Workcover approved for crane lifting. With or without wheels, fork handled. SUITABLE FOR: Suitable for on going construction works. Great for small household/garden cleanups. SUITABLE FOR: Suitable for ongoing constructions jobs & high rise development. Great for small household/garden cleanups. Suitable size for bathroom renovations. SUITABLE FOR: Suitable for ongoing construction jobs This bin has a back door to make loading easier. Good for renovations or home/Garden cleanups. SUITABLE FOR: Suitable for ongoing construction jobs. This bin has a back door to make loading Easier. Good for renovations & home/ garden/ Factory cleanups. SUITABLE FOR: Suitable for ongoing construction jobs. This bin has a back door to make loading Easier. Good for renovations, home/garden/Factory cleanups. Also popular with commercial refurbishments, Shop fitouts etc. SUITABLE FOR: This bin has a back door to make loading easier. Large bin, popular on sites for demolition, excavation works and clearing of trees and vegetation. Also used for Commercial refurbishments, shop fitouts and factories. SUITABLE FOR: This bin has a back door to make loading easier. Excellent permanent bin for factories. SUITABLE FOR: This bin has a back door to make loading easier.Excellent permanent bin for factories.